With talk of a possible tweak to F1’s points-scoring format, Crash.net looks at how some alternative systems could affect this year’s championship. The prospect of changing F1’s points system was a topic of discussion at the most recent Strategy Group meeting, as Liberty Media continues to look at new ways to improve the sport, create fairer competition, and pose an attractive proposition to new entrants. Such a change would be a big move away from the current points format that has been in place since 2010 and certainly creates a talking point for teams and fans, with the proposal revealed by Force India boss Vijay Mallya during the British Grand Prix weekend. “The other thing that was discussed at the Strategy Group meeting was a potential change in the points system,” Mallya said. “They’re considering whether the points system should go all the way down to 20, 20 being every car scores a point if they finish the race. Or whether 10 [cars scoring points] should be extended down to 15. F1 has undergone a series of changes to its points structure over the years, including awarding as few as eight points for a win. As recently as 2009, only the top eight finishers received points, with 10 on offer for a victory, until the format was overhauled for the following season. The change for 2010 was made to try and increase the worth of victories, with a seven-point swing between P1 and P2 giving drivers more incentive to push for the win in a race. While you'd have to go back to 1999 for it to change the result of a championship - Eddie Irvine beating Mika Hakkinen to the title - it has had the immediate impact of tearing up the points record books, with nine of the top 20-scoring drivers in F1 history being active drivers. But what impact would a more significant revision of the points system, reaching down to 15th or 20th place as Mallya suggested, or even awarding bonus points for pole positions, fastest laps and laps led, have? We’ve crunched the numbers to see how other series’ points formats would impact on this year’s world championship, which currently sees Sebastian Vettel lead the way by eight points ahead of Lewis Hamilton. *Excludes extra points for qualifying position, leading a race and fastest lap. The British Touring Car Championship uses a format similar to one Mallya mentioned had been discussed, by making points available all the way down to 15th. Both championship standings would be significantly tighter, while a greater emphasis would be placed on reliability and consistency. Just 95 points would separate the top 10 drivers (instead of the current 143-point margin), while the likes of Renault, Force India and Sauber would all make notable jumps in the constructors’. Adapting Formula E's points system would be a less radical way to shake things up in F1. It follows the same format as F1, but awards an additional three points for pole and one point for fastest lap, placing an extra emphasis on qualifying and in-race pace. Following Formula E’s points concept would change very little, though interesting gains are made from some drivers, while the gap between F1’s leading three teams and the midfield would increase. Offering bonus points may make the fastest lap more than an empty award, yet it also has drawbacks. 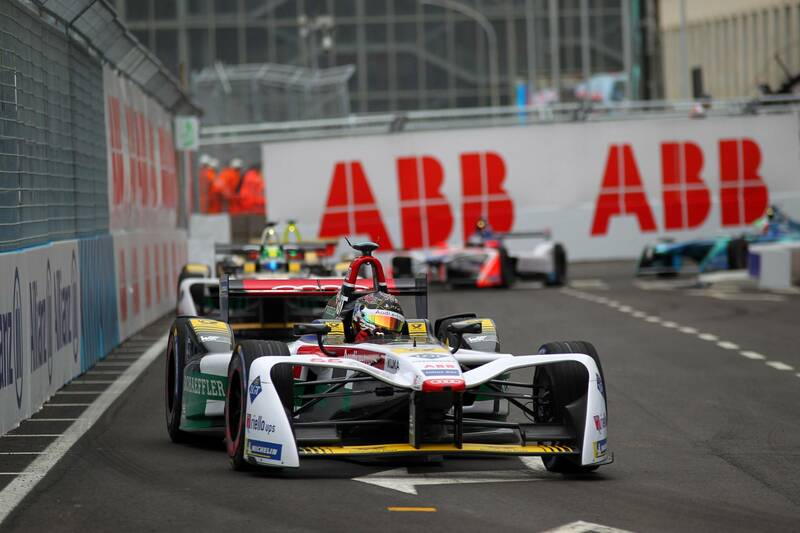 Formula E got into a farcical situation at the end of the 2015/16 season when Lucas di Grassi and Sebastien Buemi crashed at Turn 1 and were tied on points, leaving them to only complete a handful of laps in the closing stages of the race as they competed for the fastest lap. 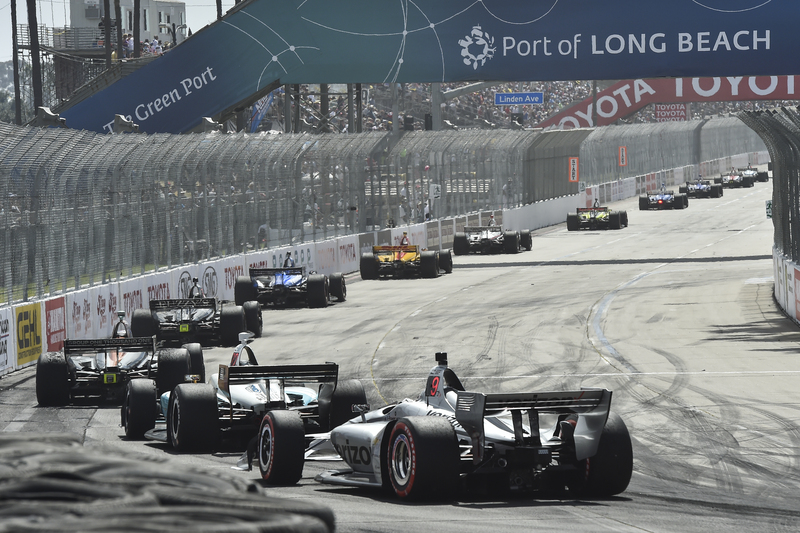 Following the points system used in the Verizon IndyCar Series would perhaps be the most radical change F1 could make for 2020. This system awards points to all drivers in the field, even if they retire from the race. The winner gets 50 points, dropping on a sliding scale to just 10 points for P20. It also gives drivers one bonus point for leading a lap during a race, one bonus point for pole position, and two bonus points for leading the most laps. You can see a full breakdown here. Here's what it would do to the championship. While using the IndyCar points system would not make a huge difference to the title race up front, through the midfield, we see drivers who have been consistently finishing on the fringes of the top 10 make big advances. Stoffel Vandoorne is the biggest winner in all of this, with his boosted points also helping to lift McLaren up two places in the constructors' championship, sitting not far back from Renault. Sauber also benefits from the revised points system, again thanks to its consistent scoring, while Toro Rosso drops back as a result of its number of retirements this season, costing it points. The attraction of 50 points for a win may seem to make big jumps in the championship easier to come by, thus making the title race run longer, by awarding points to retirees, it means the biggest points swing that can be managed in a weekend is 44 (P1 plus all bonus points versus P20). Right now, victory sees drivers score more than double the points of P5 (25 to 10). Under the IndyCar system, it would be only two-thirds (50 to 30). The system would give more worth to the minor battles outside of the top 10, giving drivers a chance to fight for every point, perhaps improving the on-track spectacle. IndyCar also offers double points - infamously trialed by F1 at the end of 2014 in Abu Dhabi - for particular events, including the Indianapolis 500. Could Monaco be given greater importance by becoming a double-points round? Changing F1's point system would be a radical move. We saw with the attempt to use double points in 2014 and the failed knockout qualifying format in 2016 just how risky big changes can be. The current format does a good job of rewarding race winners and punishing those who fail to finish. Were tweaks to be made to the IndyCar system - most crucially giving retirees no score at all - then it could work for F1, placing more value on the positions further down the order. But it would do little to really shake things up at the front of the pack, and the addition of bonus points for leading laps and double points rounds could seem artificial. As explained above, the Formula E system would have major pitfalls without offering any real changes, while the BTCC format would detract from the value of race wins with just a three-point swing between the top two positions. Stability is underrated in F1 - but let's see what changes are in the offing for 2020. Additional reporting and number-crunching by Luke Smith.